Ten games had been released using the SCUMM engine, amongst them the Monkey Island titles (then numbering only two), Indiana Jones and the Fate of Atlantis, and Full Throttle. Myst had already revolutionized computer gaming, especially adventure gaming. Spielberg’s great 1993 techno-thriller, Jurassic Park, was two years old. 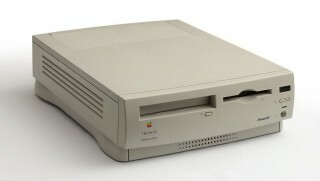 And I…well, I had an Apple PowerMac. I think maybe a 6300, but I don’t know for sure. Not pictured: a decent gaming machine. This wasn’t quite as ludogically destitute a machine as a Mac is today. Sure, Macs still got a lot of things late, if ever, but PC dominance was not quite so fiercely in place. I mean, heck, we had Myst. That’s all that really mattered at the time. Flippin’ Myst. But when that was not enough, you could still find Mac games, like, on shelves places. At actual stores. And if that didn’t work, you could certainly order them. Say, from LucasArts. This is not the story of me ordering a game from LucasArts. I have one, but this isn’t it. This is the story of an astronaut, a reporter, and an archaeologist, and more importantly, of a distant alien world. You’d be surprised how novel it is for a game to open with radio telescopes and press conferences and, finally, a space shuttle. A real space shuttle – Atlantis, specifically. But think about it. Even now, how many games can you think of that even feature a space shuttle at all? If the opening to The Dig feels a bit like a sci-fi movie, that’s probably not a mistake. The story is Speilberg’s, an idea he had for an Amazing Stories episode or, later, an actual movie. But at some point it became a game, probably because, at the time, it’d be easier to do as a game. But Spielberg’s isn’t the only notable name attached to The Dig. Orson Scott Card, controversial author of Ender’s Game and countless other novels, as well as a handful of games since, did the dialogue. That’s Robert Patrick you hear as protagonist Boston Low. And, of course, there’s some serious adventure gaming pedigree from LucasArts – actually, quite a lot of it, because The Dig was in development for something like six years. A development cycle that long is normally a Very Bad Thing. But The Dig is actually pretty great. Maybe it’s a little…technically unimpressive, for the time. But it does what every adventure game should aspire to do: it entrances, it draws you in, and it doesn’t let go of that sense of wonder until you’re done. As you might expect (since a mission to nuke an asteroid off of a collision course with Earth, while amusing, would make for a fairly short game), not all is as it seems. Boston, Brink, and Maggie plant the charges, only to discover that the asteroid is not an asteroid at all, but a vessel – a vessel which, helpfully, promptly stops being an asteroid and whisks our heroes across space to a distant planet which they come to call “Cocytus”. It’s plain that the world was once home to an advanced alien civilization, but they have, at least, vacated the landing complex and left no sign of where they went, or why. Brink frequently offers information relevant to your plight. The game proper is a classic SCUMM engine point-and-click, but much more serious in tone than anything else LucasArts did in the genre before or since, which might be part of the reason that The Dig is broadly forgotten. The slapstick antics of Guybrush Threepwood or Ben Whatsisname or Sam & Max are gone, replaced with a grim tale of mystery and Low’s action hero-esque one-liners. But I became so engrossed with unraveling the mysteries of this strange world and its erstwhile civilization that I didn’t care. It would be fair to draw more comparisons with Myst than, say, Monkey Island, because the source of the puzzles is much the same: figuring out how stuff works and, often, fixing it in the process. But rather than the manic steampunk world of Myst and its sequels, The Dig features an advanced alien civilization, and a dead one at that. Wikipedia goes so far as to say that “the main theme is xenoarchaeology,” and if that isn’t a selling point for a game, I don’t know what is. Boston and Maggie make a plan worthy of the Mystery, Inc., gang while Brink takes a nap. The Dig can be tricky, but it’s immensely logical. Deciphering the aliens’ last messages and figuring out how their equipment works are daunting tasks, but ones that follow clear patterns. Once you’ve figured out one panel, others you may encounter later will follow a very similar design (as you’d expect), and while their function may be different, their operation is not so much. Adventure games rarely come with the kind of sense of learning and mastery that this produces. The Dig is less a series of disparate puzzles but one very large one with lots of little parts. The fact that the alien civilization is dead should not be taken to mean that the planet is uninhabited. It definitely is not. And this, again, is an aspect The Dig shares somewhat with the Myst series (particularly Riven): the wildlife. 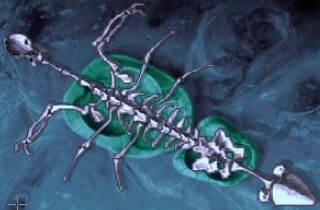 Cocytus is an incredible place, and not remotely dead; there are lifeforms here. Many of them. Dangerous ones, sometimes, and…less dangerous ones. And plenty of them do have puzzle-related functions in the game. "Stand back, everyone. I'm about to make this little sucker come back to life...and then explode." The story as a whole is well-done, too. Maggie and Brink do their own digging, so while you often only control Boston, you frequently rendezvous with one or both or your teammates to compare notes and move the story along. And as you might expect, it’s stressful being trapped on an alien planet with little hope for escape. Really, it is. The character arcs are not necessarily unexpected – calls from Brink particularly start to become groan-inducing later on because you know he’s done something stupid – but they are solid, and much different from the sort of drama that you’d probably expect from a LucasArts adventure game. The Dig is regarded as the red-headed stepchild of LucasArts of the early 90s because of how distant it feels from the humor for which the company was then known. But what it lacks in the comedy department it makes up for in being just one of the best damn sci-fi games there is. Like, real, good science fiction, with more to do than just blow aliens away with high-tech weaponry. I can’t necessarily recommend it to everyone because I know these sort of games aren’t everyone’s cup of tea, for one, and this in particular is kind of a niche within a niche. But if I’ve swayed you at all, I believe the game’s been (suitably) resurrected on Steam. And for my part, xenoarchaeology is my idea of fun. Email the author at dix@tap-repeatedly.com! Nice one, Brandon! I remember when The Dig came out. A lot of excitement because of Spielberg’s involvement, which then quieted to a low hum. I wasn’t an adventure guy so I skipped it, but to be honest this is one I’ve always wanted to try out. In my experience, most people who gave it time came away with reactions as positive as yours. It’s one of those late-generation SCUMM games from a time when LucasArts could always be counted on to produce solid adventures. Your evocation of Myst is crucial, though… that game changed the way people looked at adventure games, for right or wrong. I think this is what hurt The Dig most; glance at the box and it looked like it was two years old. An unfair fate for a game that is by all accounts a really good one. Also, you used the phrase “ludologically destitute.” You can’t beat that. Great pick, Brandon. 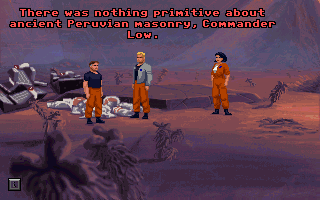 The Dig may be the red-headed step child in the LucasArts oeuvre but it certainly has an appropriate cult following. I picked up The Dig on a Steam sale a year or two ago with the intention of some day replaying it. Perhaps soon! The Dig is a great adventure game and tons of fun. I second Dix’s accolades. Brian Moriarty was heavily involved with The Dig’s design. From what I gather, it was a particularly difficult project. 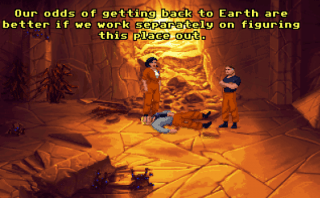 The Dig was one of the first adventure games I played. It was great fun experiencing this strange place, similar to what I found later in Myst and Riven. It was a tricky game. I played The Dig years ago; around the time it came out probably. I still have the disk. Thoroughly enjoyed it. I thought the story was excellent – very good science fiction with some other fascinating elements that I won’t spoil. The voice acting was uniformly great as well. Glad to see it getting some recognition. Nice!! Ohhh The Dig, it’s one of my favourite adventure games. Not only does it conjure up memories of exploring the beautiful Cocytus, beholding its archaeology, inhabitants and technology, it also conjures up memories of playing it with my parents and brother. It’s one of the few games we all played together and managed to stick with to the end. Because a lot of the puzzles revolved around discovery, experimentation and logic it meant that we could all get involved and throw ideas around. The turtle puzzle remains one of my favourites and I’ll never forget the animation of its innards dribbling back into the ocean. 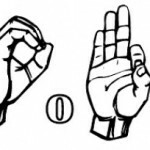 How many times did we see that…? It certainly was a different kind of experience to other LucasArts adventures though (me and my brother had played most of them by that point) but I think that’s one of the things that made it so alluring: it was a serious science fiction adventure and a great one to boot. 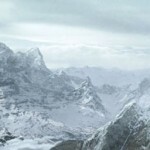 I also loved Michael Land’s soundtrack which really injected the experience with a sense of majesty and wonder. Ahh, great stuff. Thanks for the trip Brandon! I, too, am curious. It’s been long enough since I’ve played through the game properly that I’m not positive which puzzle you’re talking about. Throughout the game it’s a single-click interface – one click to select this, activate that, walk there. Then you get to the lightbridge control panel and try clicking on everything and don’t get anywhere because it’s important how long you hold the button for, not just what you click on. I was never entirely sure whether it was intended to be a puzzle or it just didn’t occur to them that it might confuse anyone. Hmm. I don’t remember ever having an issue with that puzzle. I suppose I translated the interface in my brain more as “1 click = 1 press of a button” when I was actually interacting with control panels and such. It followed that holding the mouse button down would be the same as Low holding the panel’s button down. And I think the visual feedback provided by the gem and the screen are straightforward enough. Still, I do see where confusion could arise. I loved playing through this game back in my college days, before the advent of walkthroughs were so prevalent. Had quite a time of it trying to get through the puzzles with my roommates.